Architect, Academician Honoris Causa. In 1977 he published the Manifesto “Photography and Substantial Art” in 1985, he was awarded “Academician Honoris Causa”. In 2008 he published the "Quantum Art Manifesto". The artist in the early 70's, her photographic works have been awarded at various exhibitions including the Biennale in La Spezia in 1981 and 1983. In 2000-ies he published the Manifesto of quantum art, a new art form based on the evolution of cognitive systems and international cooperation. 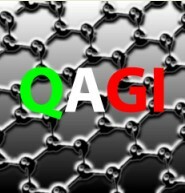 In 2010 he founded QAGI, Quantum Art Group Italy, became in 2012 international. The following year, his project "Quantum Art and Science for a New Renaissance" was awarded the “Italy of Innovators-Chairman of the Council of Ministers”, as the Italian excellence in the field of art and communication. After his, he visit to China with a delegation of the Italian Government. 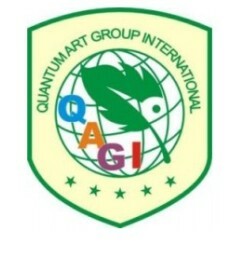 In 2012, QAGI consisting of American artists, Brazilian, Australian, Chinese and European. He has lectured at the University of Pavia, Milan, Suzhou. In 2017, he founded MAQ-Quantum Art Movement of international cooperation. He also won major awards in both Italian and international, including first prize in the avant-garde sculpture in Saint-Petersburg in 2016. He exhibited in Milan, at various galleries and several times in the Building Modern, Venice, Rome, Bolzano, Pavia, Cesenatico, Piacenza, Milan, Ferrara, Tyumen, Padua, Italy, Salento, Spoleto, Palermo and abroad, in Croatia, Brussels, Barcelona, Paris. In China exhibited in Beijing in 2010 and in 2011, Suzhou in 2011, Shanghai and Suzhou in 2012, Shanghai in 2014, 2015 and to XI'an in 2017; his work has been exhibited in Russia, in Moscow and St. Petersburg in 2016 and 2017, he also took part in the 7^ Biennale in Moscow. His works are in permanent exhibition at Museo diocesano di Capua, Museum Verga Vizzini (CT), rn Spices, and in Milan, and the General Poured (PV), Archive Vinyl, Padova, Archive of International mail Art, University of Apple, Gallarate-Varese, TG-DRAGON Museum, Suzhou Tian Gong, China. 1977 founder of the " photography and the art of meaningful "
Manifesto 2008 " Quantum Art"
2011 founder of QAGI-Quantum Art Group International"
An artist from the early 1970s, her photographs have been featured in various exhibitions, including the Spice Biennale in 1981 and 1983. In the 2000s, he published the Manifesto of quantum art, a new art form based on the evolution of cognitive systems and international cooperation. In 2010, he founded QAGI, Quantum Art Group Italy, and in 2012 became international. The following year, his project "quantum art and Science for a new Renaissance” was awarded the prize" Italy of Innovators-Chairman of the Council of Ministers " as Italian excellence in the field of art and communication. He then visited China with a delegation from the Italian government. In 2012, QAGI consists of American artists, Brazilian, Australian, Chinese and European. He lectured at the University of Pavia, Milan, Suzhou. 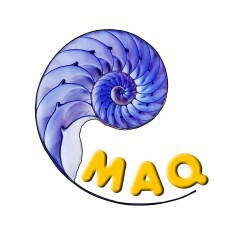 In 2017 he founded MAQ-quantum art movement of international cooperation. Science and Quantum Art", July. 2015 Effetto Arte (Magazine Art Effect)-January-February, Directed By Professor Paolo Levy. Professor of "Pharmaceutical Chemistry" under the degree course Pharmacy at the Department of Drug Science, University of Pavia. Director of Quantum Bio Lab. Founder Quantumbionet in October 2006. Italian Founder Biocatalysis Center in July 2007. Former President of Quantum Paradigms of Psychopathology (QPP). Member of the Scientific Committee of the Research Institute "Paolo Sotgiu" in Quantitative and Evolutionary Psychiatry and Quantum Cardiology, University L.U.de.S. of Lugano, Switzerland. "2010" Italian Republic President medal award for Innovation in Quantum Biology. Professor at the University of Pavia and an internationally renowned scientist, poet, writer and painter. His writings are inspired by his scientific studies on the human being considered as a complex system in which the various bacterial communities coexist with our organism in a constant symbiosis. His writings are created from the profound analysis of the human being microcosm and they tell about aspects of life and human relationships sometimes fairy-talented. In March 2010 he joined the Quantum Art group by Roberto Denti and since then has always brought his contribution as a scientist and artist in all major events in Italy and abroad. Massimo has organized important Quantumbionet Work Shop introducing quantum art into the discussion. She worked at a ceramic factory as an artist. From October 2008 to December 2009. She was the publisher and editor-in-chief of the monthly magazine PRestige, with a circulation of 2,000 copies. Winner of international awards in 2015-2018 in Russia, great Britain, France, Italy, Denmark, China, Turkey, Serbia, Cyprus, Egypt, Ukraine, Belarus. The artist paints on canvas, making visible his feelings and melodies, showing through his work a General overview of human existence in order to overcome the existing problems in the world. Through her art, quantum physics Natalia describes the reality in which human consciousness strives for creative evolution, the search for new forms of social life. In each picture, the law of rare expressive power is combined with the harmony of the master's color, which makes his paintings very personal and recognizable, giving the finished image the perception of pure beauty, from which the perception of the artist's reality follows. In recent years, her paintings demonstrate important creative discoveries, where ideas take shape in a more subtle and refined color scheme, with a sense of Light, specifically designed to highlight certain details that in these contexts do not escape the observer. The artist tries to convey a subtle sense of light and color, teaches various stylistic techniques. She loves to paint in different styles, surrealism, impressionism, abstractionism, and in his works appear decorative aspects, emotional, dynamic, sensual, all in a formal composition is very elegant, with expressive colors and patterns. 3rd place Nomination: Figurative painting, contest work " Prayer"
1 PLACE "Abstract and avant-garde art". Pro. Nomination: the City's competitive work "Winter city"
2-19 March 2016. "BELARUSIAN ART WEEK", Minsk. 05 - 14 February 2016 "NOVGOROD ART WEEK "
31 Mar - 09 APR 2017"NOVGOROD ART WEEK "
November 25, 2016-Participation in 2 - all-Russian scientific and methodological conference on "preservation of traditions and continuity of generations in the development of Russian art" (conditions of development of creative personality in professional education and leisure activities). December 2012-Participation in the exhibition " Winter through the eyes of the artist"
April 2013- Participation in the exhibition " Artists laugh"
July 2013- Participation in the exhibition "Orthodox Russia". Exhibition blessed by the rector of the Church of the Holy apostles Peter and Paul with log, Ilovlinskiy district. December 2013.- Participation in the exhibition” at the end of the year ”in the framework of the national exhibition project”New year marathon". June 2014-participation in the exhibition " Puppet country"
His works are in Boston, Italy, Russia and in private collections in the USA, Canada, the Netherlands, great Britain, Italy, Ukraine, Russia. Publications in international catalogues.